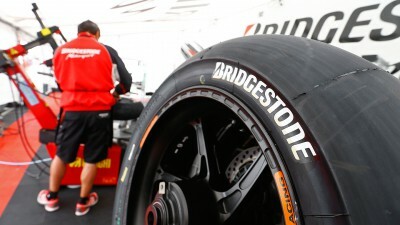 MotoGP™ tyre supplier Bridgestone has announced that it will be taking a brand-new Hard compound rear tyre to the upcoming Czech Grand Prix on the weekend of 23rd-25th August. Bridgestone currently develops four rear tyre compounds: Extra-Soft, Soft, Medium and Hard. Following the start of the 2013 campaign, it was quickly noted that the majority of riders did not favour the Hard compound with their new bikes. “Early in the season it was evident that a strong preference among the riders for the Soft and Medium compound rear slicks was occurring and the Hard compound rear slick was not being used often,” explains Masao Azuma, Chief Engineer for Bridgestone’s Motorsport Tyre Development Department. The MotoGP™ season is currently on hold, with the action then resuming with a triple-header of Indianapolis, Brno and Silverstone between Friday 16th August and Sunday 1st September.